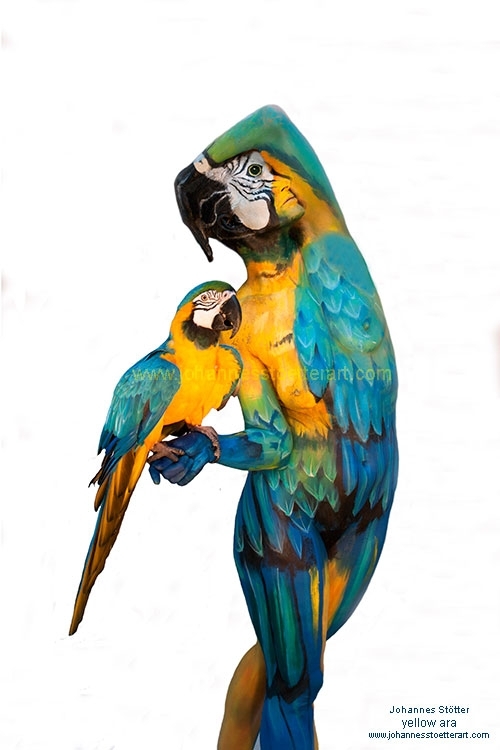 From intricate frogs to magnificent macaws, Italian artist Johannes Stötter has always blown us away with his nature-inspired body art. But his latest installation might just take the cake! It took Stötter just four hours to design the piece and another six to bring his work to life, transforming two models into a single convincing chameleon. There's more where that came from, so check out his Facebook page here.